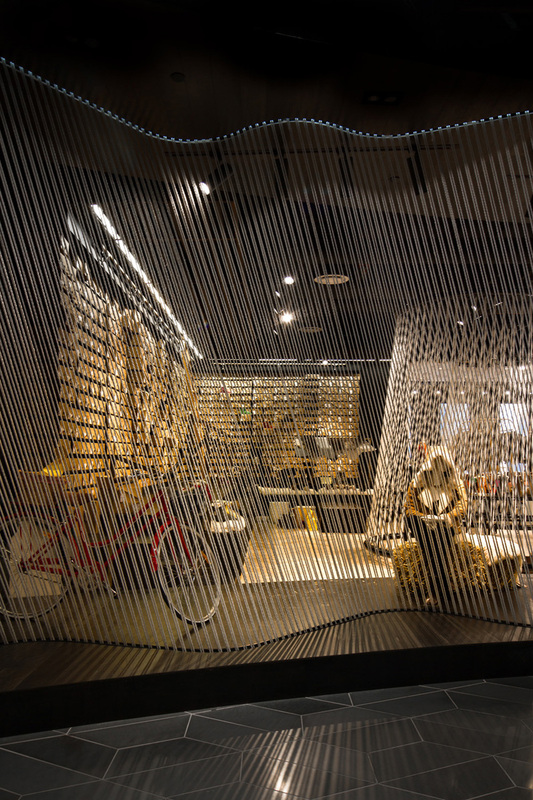 TANDEM design studio have designed Yellow Earth’s flagship store in Melbourne, Australia. 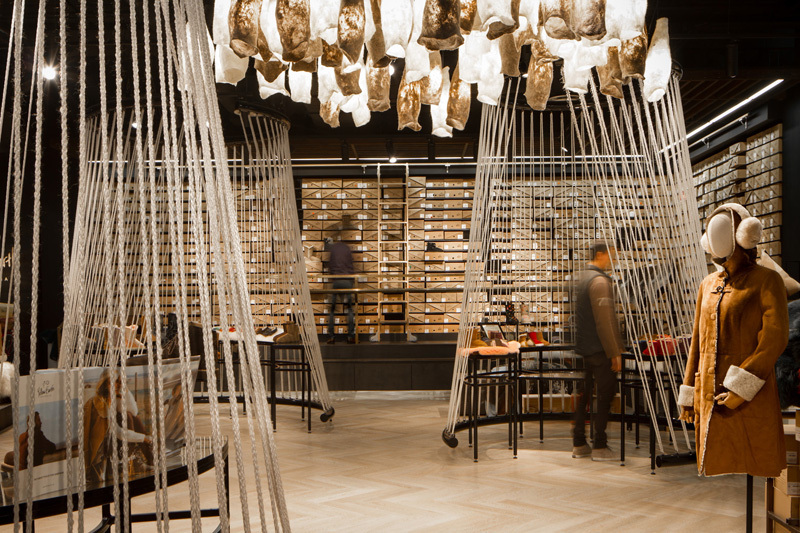 They were asked to create a unique and memorable shopping experience that improved brand awareness and raised perceived merchandise value. 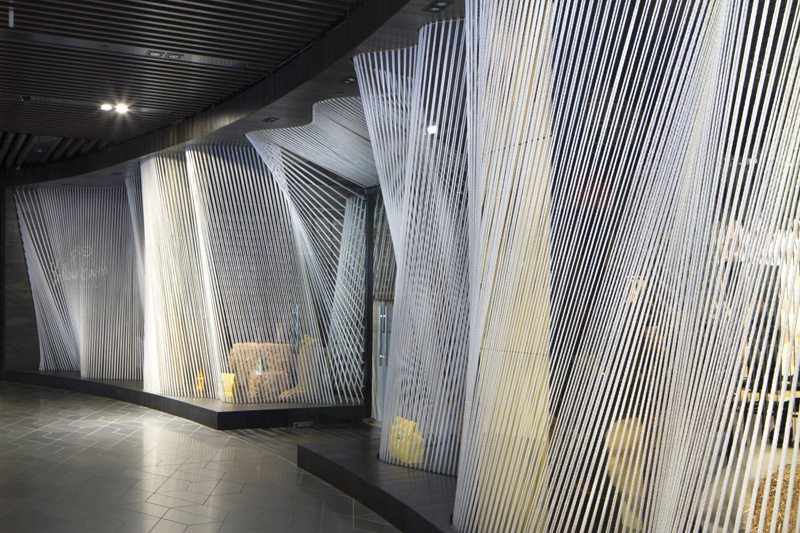 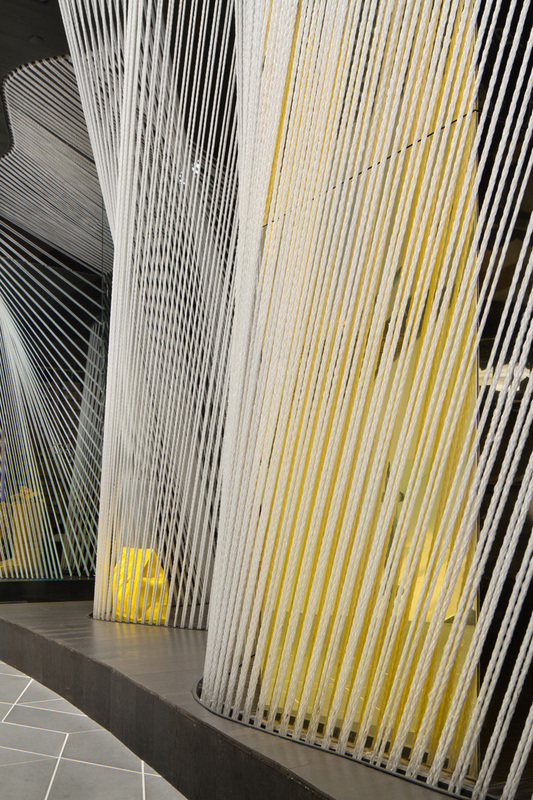 The most noticeable part of the design is how rope has creatively been used to define the shop space. 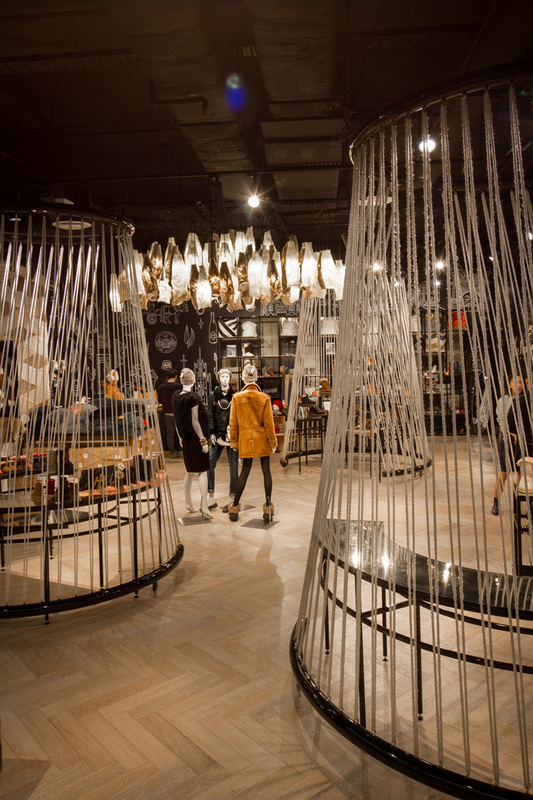 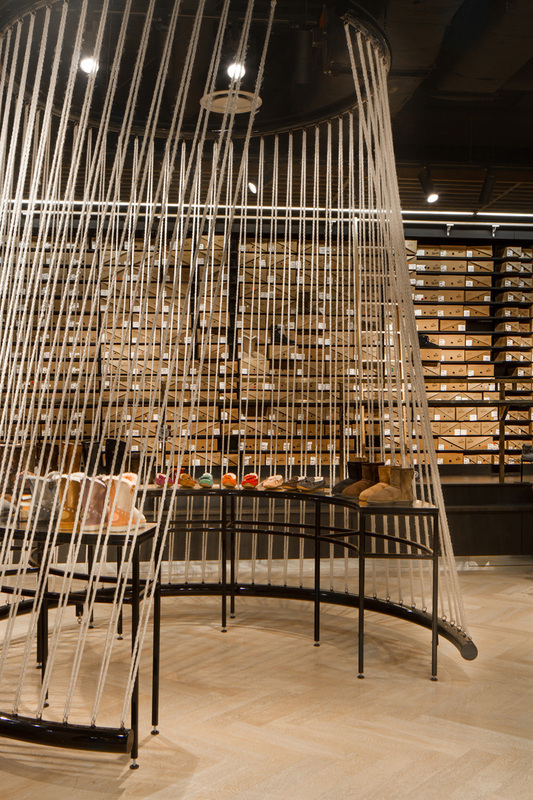 The rope shopfront and suspended display cones have been inspired by knitted yarn, the rough textured floor references timber wool sheds, and steel frames that feature throughout the store are a reminder of tanneries, machine rooms and sewing floors. 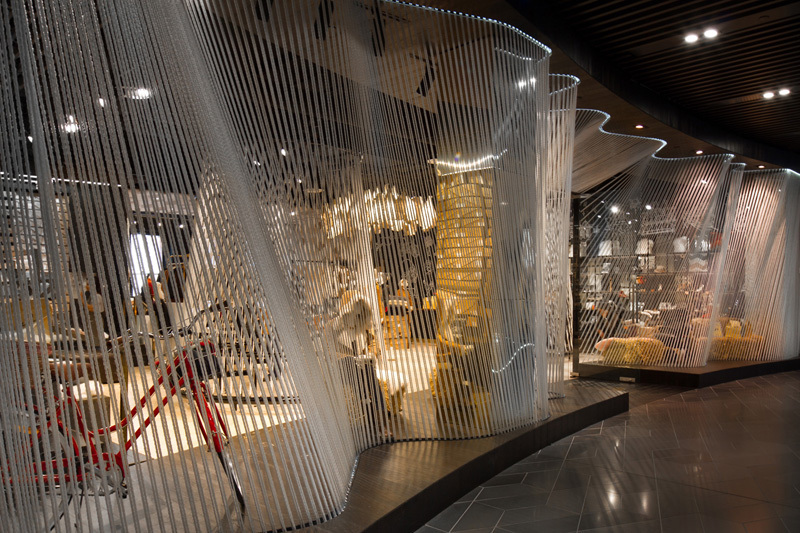 As shoppers pass through the woven shopfront, they arrive at the central ‘best of’ feature zone that has been lit by felt lights.